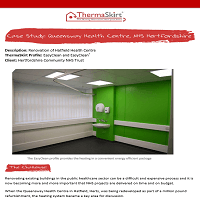 ThermaSkirt Case Study - Queensway Health Centre, NHS Hertfordshire - DiscreteHeat Co. Ltd.
Renovating existing buildings in the public healthcare sector can be a difficult and expensive process and it is now becoming more and more important that NHS projects are delivered on time and on budget. 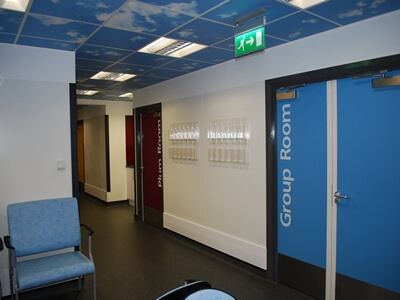 When the Queensway Health Centre in Hatfield, Herts, was being redeveloped as part of a million pound refurbishment, the heating system became a key area for discussion. "We were looking for an efficient heating emitter system that solved a number of key NHS issues relating to hygiene & cleaning as well as solving some layout design & collision problems. 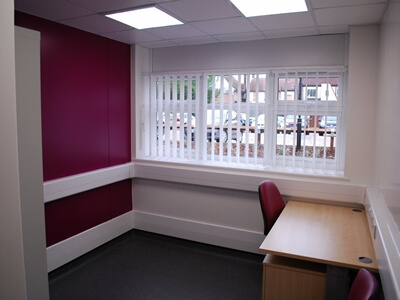 Traditional radiators in public areas have to be low surface temperature & this is achieved with radiator covers that become a dirt trap & potentially harbour germs. 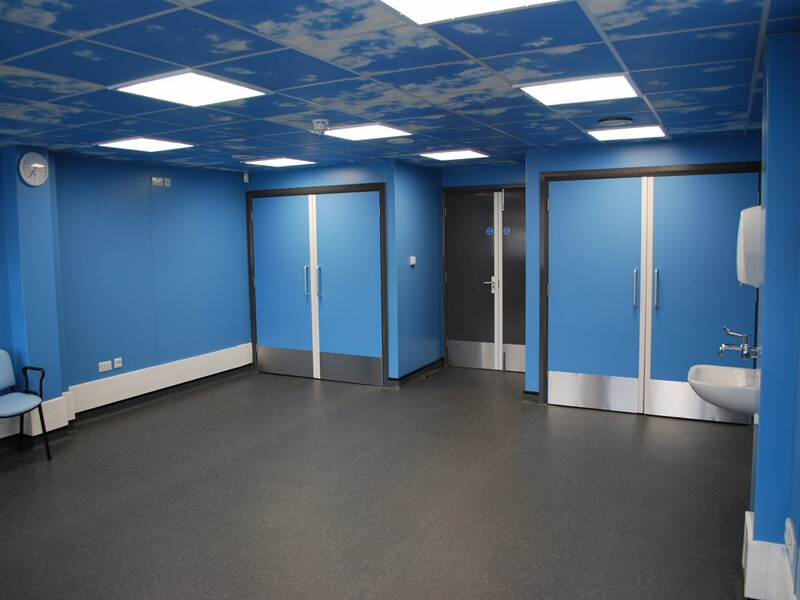 These covers require maintenance and periodic removal for cleaning that requires both a maintenance contractor and a clinical cleaning team. 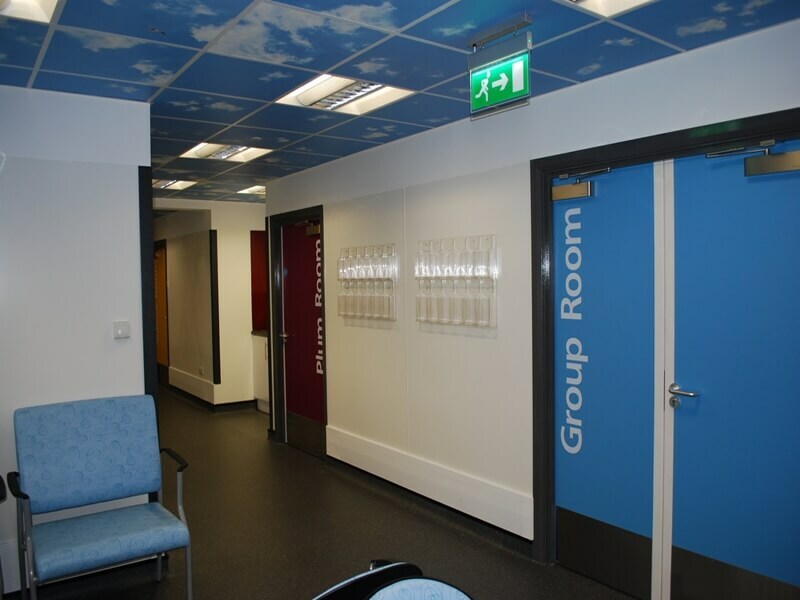 While the covers are removed the room is also out of bounds, reducing the NHS’ ability to deliver services." 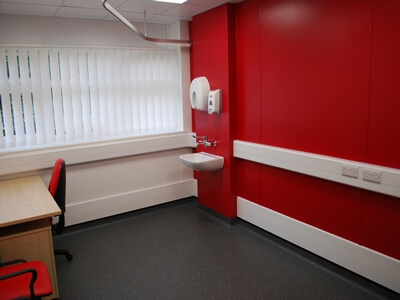 Graham Bell, Head of Capital Projects for NHS Property Services then came across the ThermaSkirt product which was being specified more and more on Healthcare projects, both in the NHS and private sector. 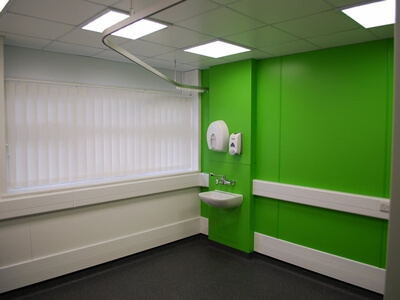 Although Ampersand were initially sceptical of the idea, further research and recommendation gave them the confidence to change the spec from LST radiators to the new ‘EasyClean’ version of the ThermaSkirt product – which has been especially designed for use in clinical areas. 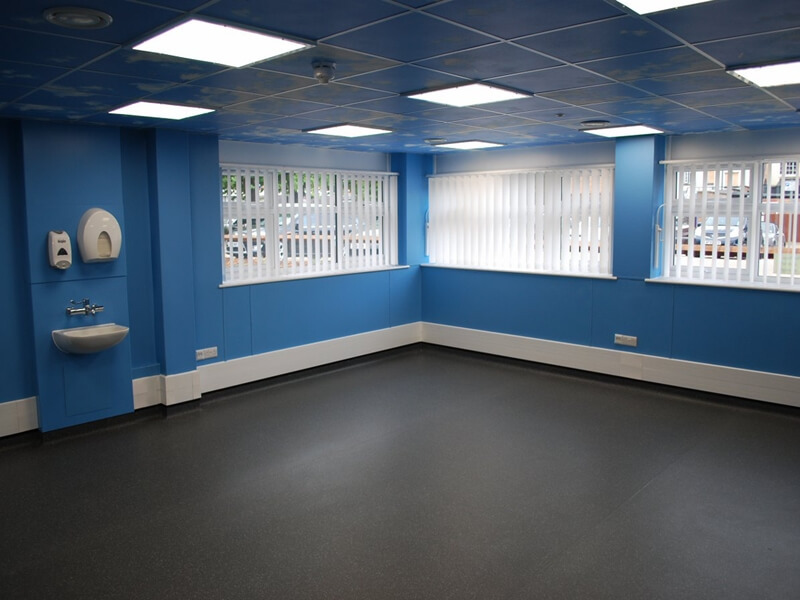 Connecting on to a traditional plumbed system, the Easy Clean profile provides an even, gentle heat all around the clinical and waiting areas maximising comfort. Being a smooth and grille-free profile meant that there is virtually no maintenance and cleaning is reduced to a simple wipe down when the floors are mopped. As the system naturally runs at lower, safer temperatures, the whole heating system can run much more efficiently and thus energy bills reduced. 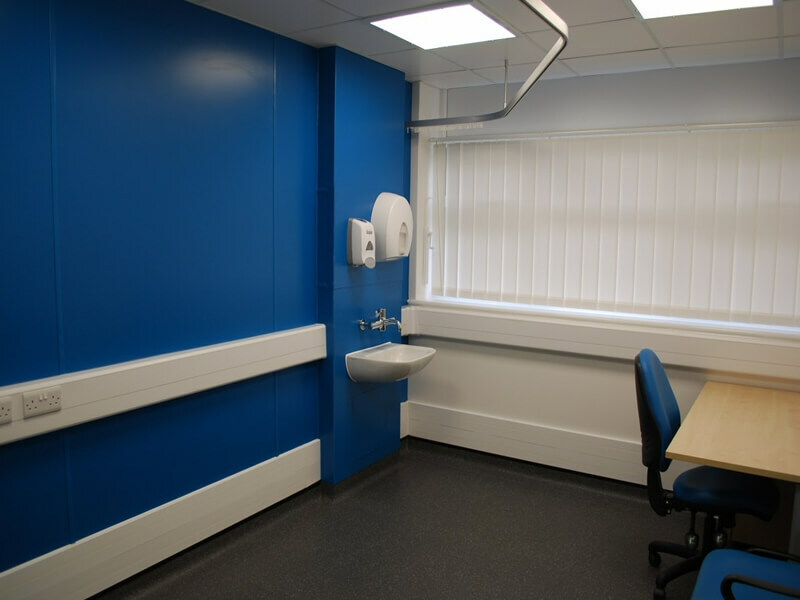 Initially resisted by the contractors, the ThermaSkirt has proven to be one of the most successful elements of this major refurbishment. Installed on time and in budget, the client has already expressed their interest in using the product again on other NHS refurbishment projects. "As part of the Queensway Health Clinic refurbishment we were very keen to ensure an energy efficient delivery of heat, whilst maintaining patient safety and to design out cleaning troubles, which are typically experienced with traditional radiators especially when they are fitted with an LST cover. Specifying ThermaSkirt has achieved all the above. 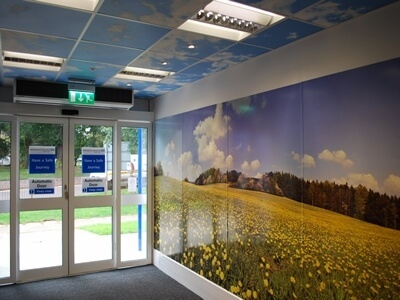 The heating is very discreet and most people do not even realise that what they presume to be a skirting board is actually warming the room."